Maureen has been a dedicated volunteer at our main pantry for over two years now. She is there all three days that the pantry is open to the public, helping to pack groceries and greet the clients. And because she is a face the clients see each day, she has gotten to know many of the pantry clients and has become close to the other staff and volunteers as well. Loyalty and dedication must be in Maureen’s blood. Before retiring, she worked in the sorting department at the Post Office for 33 years! She speaks of her job highly, loving what she did for so many years and the people she worked with. 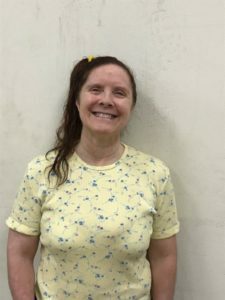 She meets one of those co-workers, whom she retired at the same time as, at the movie theater every week to catch a film, one of her favorite hobbies. Born and raised in Grand Rapids, Maureen loves the city. “You can do things everywhere here, everything is all so close by, museums, restaurants, parks, everything,” she says. She lives nearby the pantry with her husband, who is a professor at Aquinas College. Also, her father and all her 8 siblings live in the Grand Rapids area, so the family gets to see each other often and for her father, it’s nice to have all of his kids around to care for him, but at 87, he shows no signs of slowing down, as he still goes bowling every Wednesday with his league. Maureen is also a busy woman, as she not only volunteers at the pantry, but also at Kids Food Basket every Friday as well. She is drawn to volunteering to keep herself busy as well as to remain active in her community. But her favorite part of volunteering, is the people. 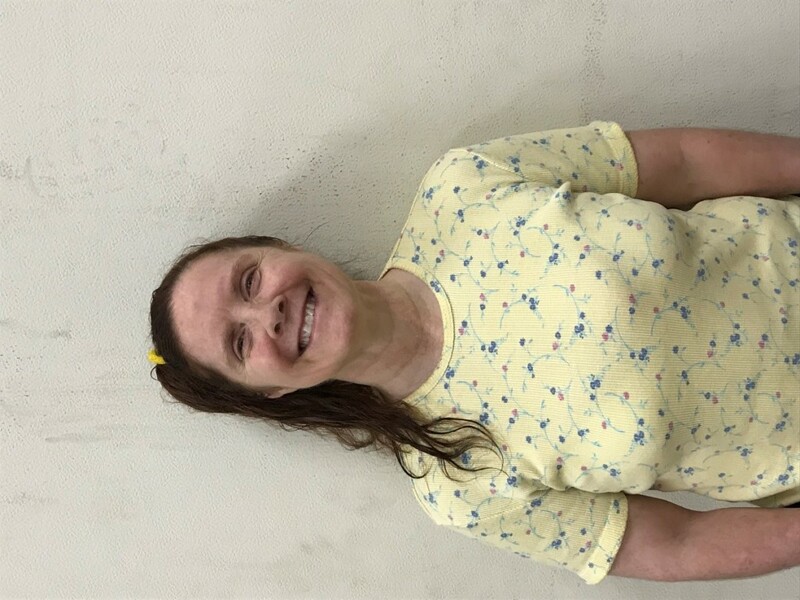 She has grown close to the staff and volunteers that she works alongside each day as well as the many clients that she has met and gotten to know over the last two years. Danielle Simmons, pantry manager, speaks highly of Maureen as well, saying she can always count on her to be there and that is a huge help to have that consistency. We are so thankful for Maureen’s commitment to our program and so grateful to have her as a part of our team. We appreciate her and others like her who give so generously of their time to reach homebound seniors in our community. Thank you, Maureen!